A recent and popular addition to our gift shop from Kinneswood. Hanging heart, with handpressed fresh leaves in clay. A Scottish twist on the European Eau De Vie. A refined drink for those looking for something different. Soothe tired eyes with this natural hot & cold pack in linen for yoga practice and all over body application. 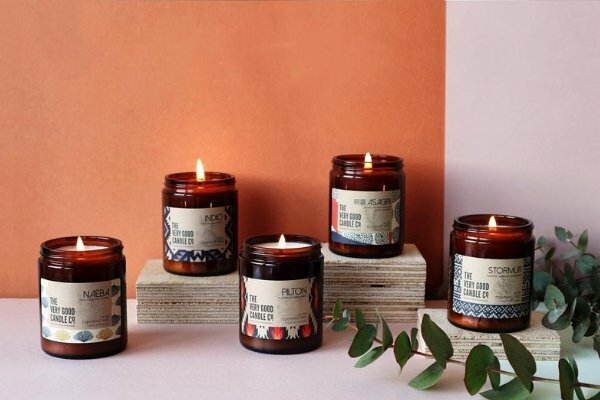 A plant-based and cruelty-free brand from Amsterdam with scents inspired by the music festivals from around the world. Often an experience can make the best present. Why not choose from one of our workshops – find out more at www.lochlevenslarder.com/events. A firm favourite which comes with a pretty floral card. Available to purchase in the Food Hall. Use with 1 year.